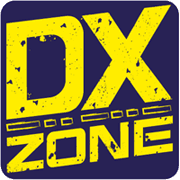 Freeband Academy 11DX - An 11 meter DX site promoting exemplary operating practices and a dedication to the betterment of the 11 meter DX radio hobby. A source of ""How To"" 11 meter information and learning for those new to Freeband DXing. 2LD751 Andy - Webpage of Andy, 2LD751. Includes links to some good 11 meter related stuff. Updated often.